TOGETHER with his big brother Gouken, Gouki (Akuma) trained the Art of Shotokan Karate under the guidance of their master, Goutetsu. But unlike his brother, Gouki felt a thirst for power--a power that would make him stronger than anyone else in the world. For this reason, he decided to master the forbidden ways of Shotokan Karate. AFTER learning the secrets of the Dark Shotokan Karate (or Killing Arts of Shotokan Karate), Gouki's body turned into somewhat a demon. Afraid that others might harness the technique, Gouki murdered his master Goutetsu and then sought out and slaughtered Gouken. Gouken's apprentices, Ryu and Ken, witnessed this horrible act and vowed that they would avenge their master's demise. However, Gouki only disregarded their threats for he feels that they were not powerful enough to give him any challenge. He thinks that only the fiercest warriors are fit to face him. To this extent, Gouki began roaming the earth in search for powerful opponents worthy enough to challenge him. HOWEVER, he's not letting his sights out of Ryu. 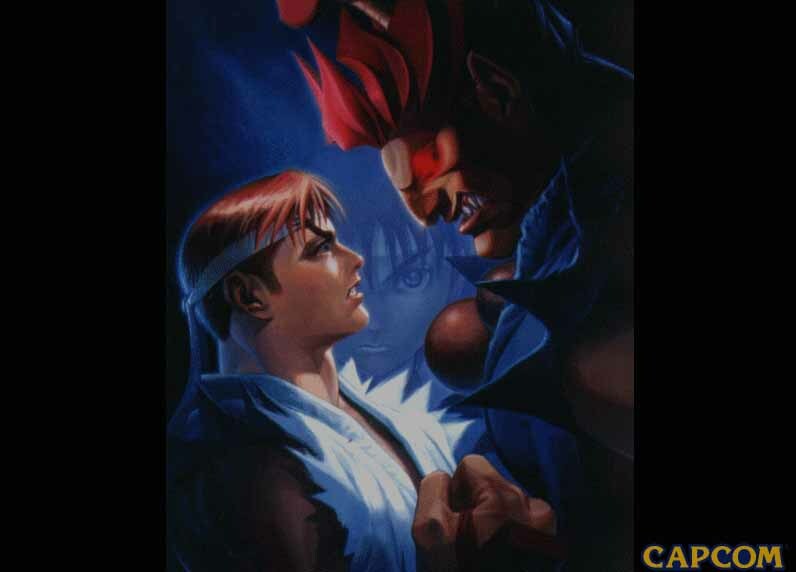 Gouki anxiously awaits the day when the 'evil intent' awakens within the young warrior for he feels that when that fateful day comes, they will truly learn who really is more powerful�. Ryu: I will avenge my master's death. Gen: What do you want with me, Gouki? Gen: I'm finished, Gouki! You have won! (Come on. Just a little closer.) What?! (Gouki disappeared w/o a trace) He knew. He's gone! Where'd he go?! send your e-mail to [kpsikill@i-manila.com.ph].